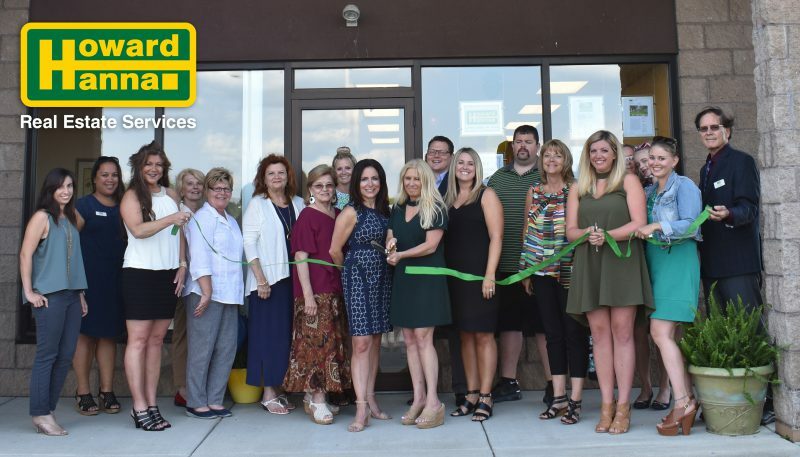 Cleveland, OH (July 17, 2018) – On Wednesday, July 11 at 4:00 p.m., Howard Hanna Real Estate Services held a ribbon-cutting ceremony for its new office in Salem, Ohio. In 2017, Howard Hanna achieved nearly $30 million in sales volume in Columbiana County, and this new office at 2870 East State Street will further support the efforts of the local agents as they expand their efforts in Columbiana County and the surrounding areas. The office is conveniently located close to Home Depot and Walmart, providing plenty of parking for buyers and sellers as well as amenities for Howard Hanna agents. This state-of-the-art, modern satellite office with an open concept has ample space for meetings, closings, and financing. “We are pleased to continue our growth in the markets and communities we serve. We are thrilled to continue to be the consumer’s top choice when looking to buy or sell a home,” said Midwest President Kristine Burdick. “Our new office in Salem is the perfect location to serve our Columbiana County clients. We look forward to expanding our reach in Salem and its surrounding communities with our industry-exclusive Howard Hanna resources. We are beyond excited to grow the office with more agents who specialize in the local community,” said Alicia Kosec, Vice President and Northeast Regional Manager. “We are fortunate to have such a wonderful presence in the community. This new space will give us the opportunity to better serve the needs of our clients and agents,” said Gina Shutrump, Vice President and Manager of the Canfield and Salem offices. To buy or sell a home with Howard Hanna in Columbiana County, please call our new Salem office at 330-702-8400.